I watched schools crumble in his wake. I saw brows furrow at his guile. Collage by S. King. Photo credits here. "And now I see with eye serene the very pulse of the machine." For the past couple of years, I have been wondering about the purpose of creativity. I've posted about it in this blog here, here and here, and in comments on other sites. Even though I claimed to have found it in that second post, I didn't really believe what I wrote there for more than a few hours. I've been pretty pessimistic about the usefulness of creativity and how it's valued in the world today, particularly in business. I see a lot of lip-service paid to being creative when what people are really measured by is how many units of widgets they produce and how well they can squeeze more numbers into the business' bottom line. Innovation, customer satisfaction - sure, those matter, but not in the short term. And management cares most about numbers adding up in the short term. Yet we're taught from an early age to be creative. What are we supposed to be creating? My obsession with finding a purpose to creativity reached its nadir with this Twitter exchange. I was sitting at my desk in the office, trying desperately not to sob as I typed those responses. I finished off an entire box of kleenex. I couldn't imagine ever reaching the mental state that Hugh and Jeff shared where they were excited about the possibilities of creativity. Then last week, I was despairing over the state of the world in general. I'm sure I wasn't alone in this. 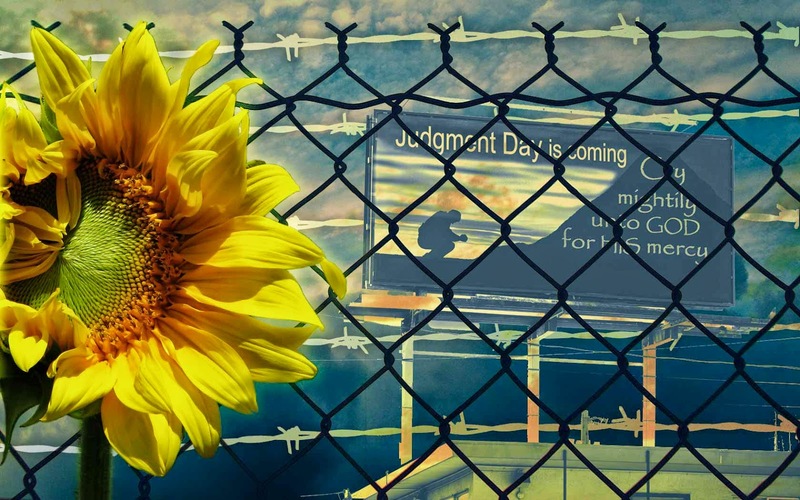 With war all over the globe, poverty and disease rampant, the world was looking pretty ugly. Equally as ugly were the attitudes of many people I saw. "Screw them, I do what I want," "Every man for himself," and perhaps ugliest of all, "Those people aren't worth helping." What do you do when faced with a world that doesn't care how mean and ugly it is? Can anything be done? Yes, I realized. I can do something, even if it's something small. I don't have to be ugly. I don't have to let ugliness thrive in my presence. Just like when I take the time to weed my little garden plot even though the rest of the yard is still a jungle, I can make the effort to fight entropy, even if it's in a small way. Many people are blind to the possibilities around them. They see things as they are, and look no further. Creativity lets you see beyond what is and envision what could be. You can see the beautiful house hiding in the shabby relic. You can see the party decorations lurking in recycled trash. You can see a delicious recipe in a pile of random leftovers. You can imagine a song, a picture, a dance, a party, where none existed. That's what creativity is good for: to create beauty in an ugly world. Creativity won't make you successful or popular or powerful, but that's OK. It will do something more important. Creativity will help make the world a more bearable place, and bring some small measure of joy to those around you. You are making a difference. You are making the world more beautiful. Little Panda did not want to get lost, so he tried to do as his mother told him. But one day, while he was playing in the forest, it began to snow. 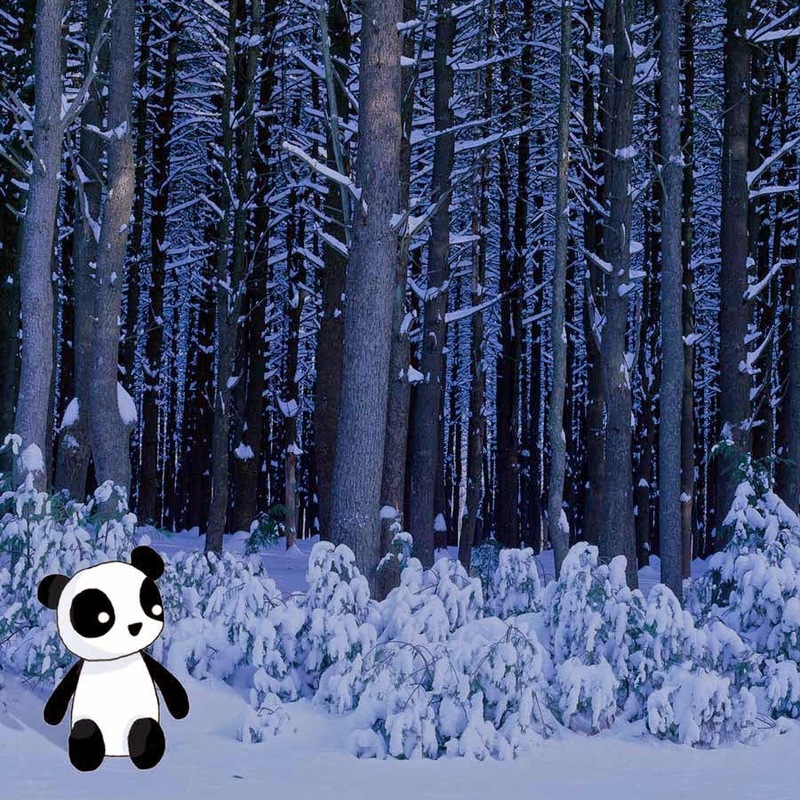 The snow grew so heavy so quickly that Little Panda didn’t even notice when he went the wrong way and walked right by the three pine trees and out into deep, dark forest. Little Panda was very tired and quickly fell asleep. But soon he was awakened by a strange noise coming from deep within the cave. LIttle Panda was curious and he headed towards the back of the cave to investigate. As he went deeper into the cave, the noise grew louder. Soon, Little Panda noticed that it was getting lighter, not darker, the further into the cave he went. He saw a strange glow coming from a crevice in the wall. He peeked through the crevice and was amazed by what he saw. Little Panda was so surprised, he forgot to be afraid. He pushed through the crevice and into the cavern. Suddenly, all the little people stopped their work and turned to look at him. “Who are you?” asked one. “How did you come here?” asked another. “I’m Little Panda,” said Little Panda. “I got lost in the snowstorm. I found this cave and came inside because I’m tired and cold and I don’t know where I am and I miss my mommy!” He began to cry. The gnome picked up three crystals from the neat piles on the cavern floor and held them out to Little Panda. “The red crystal will keep you warm, no matter how cold it gets. The blue crystal will give you strength, no matter how far you walk. The kindly gnome threaded the three crystals on to a piece of string and tied the string around Little Panda’s neck. “Now you will be able to find your way home, Little Panda,” he said. “Oh thank you, thank you!” said Little Panda. He hugged the kindly gnome and waved goodbye to all the others. “Farewell! Safe travels!” they said. Little Panda walked back to the cave entrance. He no longer felt quite so tired and cold. It was still snowing outside, but the white crystal sent out a beam of light that cut through the storm. Little Panda followed the direction the light was pointing. After he walked and walked for what seemed like forever, the crystal’s light shone on three big pine trees just ahead. Little Panda began to run. He was home! His mommy and daddy were waiting for him, and they were so glad to see him. Little Panda lived happily in the forest with his family for a long time. And when the weather was bad, he made extra sure not to go past the three big trees. But he kept the crystals hidden in the roots there, just in case. 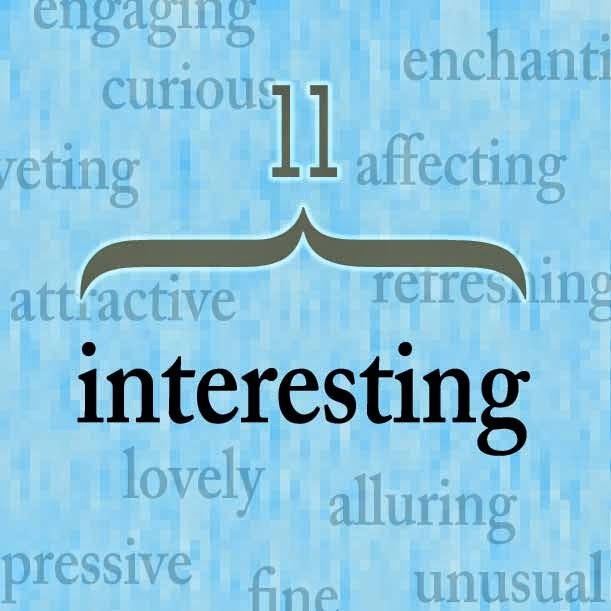 30 Shorter Synonyms for "Interesting"
It's such a useful adjective. "Interesting" can be positive, disparaging, noncommittal, questioning. It's an all-purpose reaction to almost anything. A college professor of mine even banned the word in her class because she thought it was so over-used that it had ceased to have meaning. My problem with the word "interesting" is not its banality, but its length: eleven letters. On Twitter, that's a lot of characters to spend on a single word. So I looked up "interesting" on Thesaurus.com and found 30 good synonyms with 10 letters or less. Not only will these words make my tweets more concise, they'll also vary my vocabulary and make my prose more... compelling.